As the title states, I have been blessed and honored by the stunningly beautiful, friendliest and one of the most supportive naturalistas I know Ms. Kesia from IslandKynks. I have featured this gorgeous lady already on my Blog you can read about Kesia here and on my Feature Page. Please do take a few minutes to visit Kesia’s wonderful blog IslandKynks there is not one boring post on there and they include product reviews, hair style tips, DIY’s, features of other beautiful naturals and much more! Post the link of the blog that provided you with the nomination and give thanks! Nominate 10 other blogs and provide their links in your post. Contact each of the 10 nominees via their blogs, Facebook , or other forms of social media informing them of their nomination. Provide the rules to your nominees (feel free to copy these rules directly). I am terrified no really petrified of heights! I have a stash of 100’s of different nail polish colours and only end up using certain ones even though i have a rainbow collection! I obsessively collect things: scarves, headbands, shells, pretty stones anything that I get into I become obsessed with! 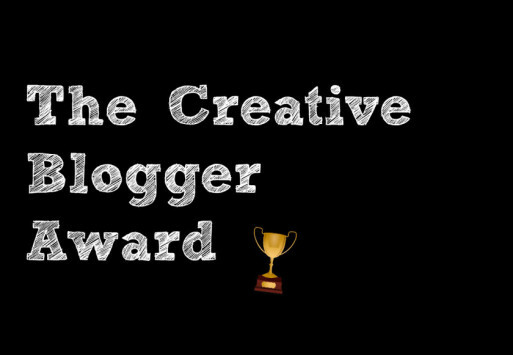 This entry was posted in Awards, Blogger award and tagged Award Nomination, Blog Awards, Blogger Award Nomination, Creative Blogger Award on May 14, 2015 by Maicurls. Thank you for nominating me 😀 I will try to do this very soon! Thank you so much! I enjoy your DIY recipes I see a few that I want to try. Are you on twitter?